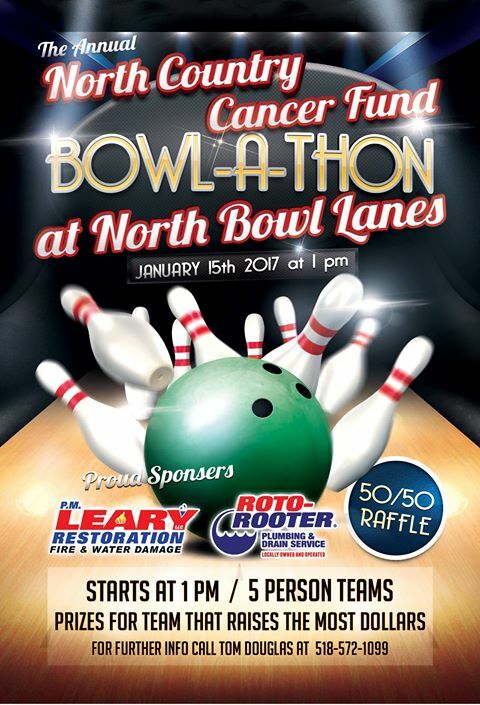 We’re Proud Sponsors of The BOWL-A-THON 🎗North Country Cancer Fund ! For more information please contact, Tom Douglas (518)572-1099 or Rodney Provost (518)593-5602. 1:00 pm slot is currently full but the 3pm slot still has openings. If at least 10 teams are interested we may add a 5pm slot.